This wall as been sitting on my computer for awhile. So I thought I would post it. I made this wall when I was playing the game, and I love the game. I found the image of the tree and eye on stock photos. I colored the eye red to represent the las plagas in the game. the textures and brushes came from hybrid-genesis.net. Of course the pretty pic of Leon came from Capcom. the lyrics came from THE RACONTEURS- Broken Boy Soldier. time- 1 week including Leons extraction. 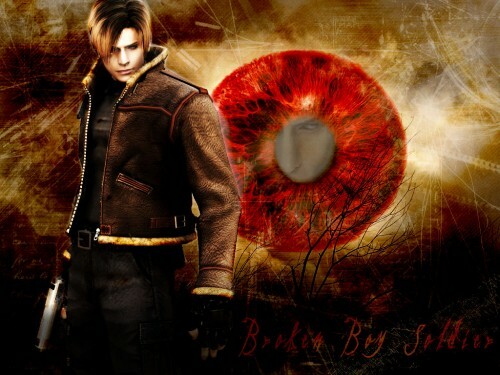 Browse Resident Evil 4 Gallery: Recent | Popular.